Extracting chlorophyll from spinach leaves — hands-on demonstration run by WIC at last year’s Girls Day. 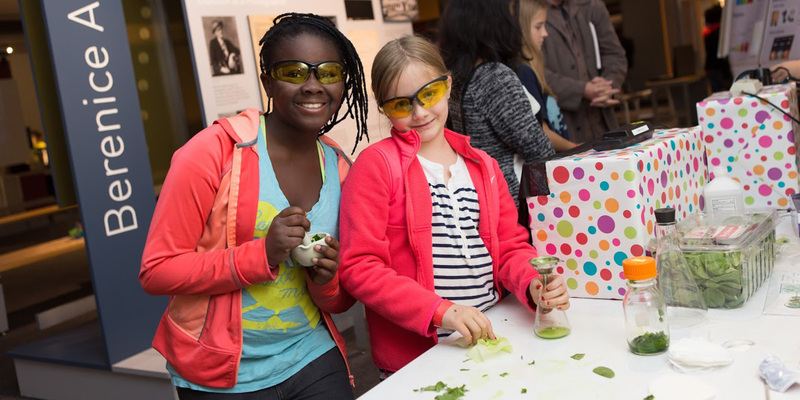 The MIT Museum will be holding its annual Girls Day on March 4th! This year’s theme is math. Last year WIC ran a booth where students could extract the chlorophyll from spinach leaves and observe how it fluoresces (red!) under UV light. It’s very exciting to see a photo from our demo used to promote this year’s event! 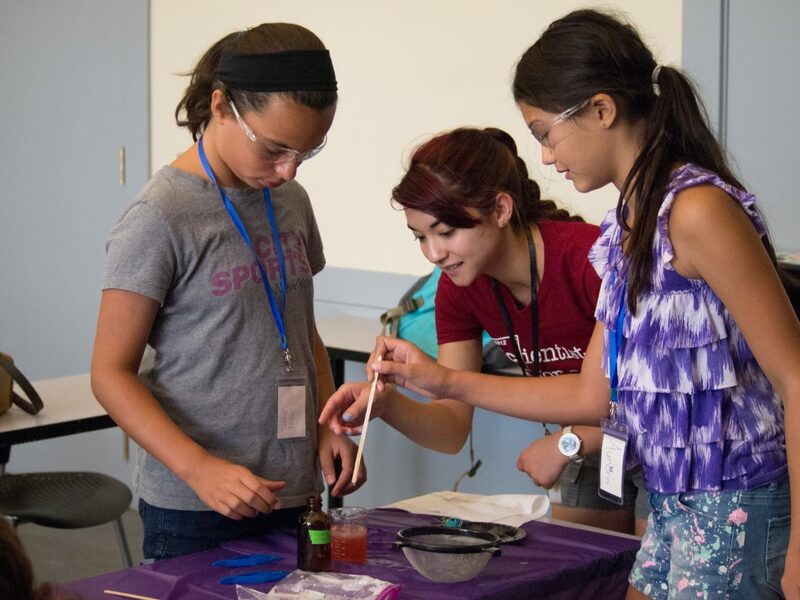 On July 30, 2016, the MIT Women in Chemistry held a Scientist for a Day camp for middle school-aged girls from the area. 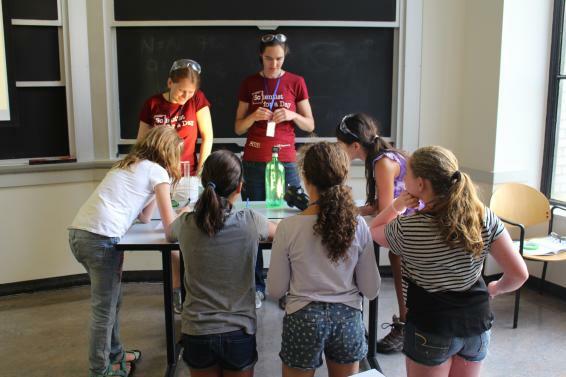 The 22 girls who attended were invited to campus for an afternoon of chemistry demonstrations and hands-on experiments. We are now accepting applications for the Women in Chemistry Professional Development Grant! This grant provides funding for women graduate students and post-docs in the Department of Chemistry to attend leadership and research conferences. The goals of this program are to increase attendance and participation of women at research conferences and to increase accessibility of leadership conferences to women in the Chemistry Department. You can read more about past recipients at http://wic.scripts.mit.edu/wic/travel-grant/travel-grant-recipients/. We are accepting applications for research and leadership conferences between January 1st and June 30th. Leadership conferences could be a typical leadership/professional development conference, as well as any conference that would help you become a leader in your chosen field/career (fields like science education, science writing, etc. hold conferences). Email completed application materials (doc, docx, or pdf format) to wictravelgrant@mit.edu. If you are applying for a research conference, please have your advisor send his/her letter of support to wictravelgrant@mit.edu.